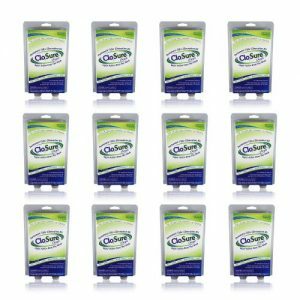 CloSure Clean is a small, portable deodorizing pouch device that completely eliminates odors in any enclosed space – fast! 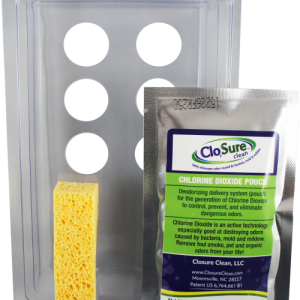 One pack of CloSure Clean will completely deodorize bad odors in a space of up to 400 square feet. With a four pack of CloSure Clean, you can treat more rooms in your home, deodorize an area up to 1600 square feet, or treat other areas outside your home. 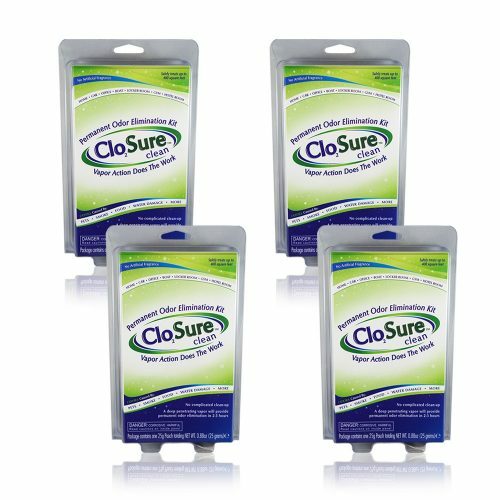 Use CloSure Clean in your car, garage, basement, laundry or workplace, or keep a spare product for travel. You will never again have to disguise a bad odor with perfumed products. CloSure Clean works by releasing chlorine dioxide into the air and completely destroying the odor-causing microorganisms – for good. Made in the USA, CloSure Clean is free of VOCs, non toxic, and does not release any carcinogens or harmful residues.